Certificates of attendance will be available for all participants and may be collected at the Registration Desk on Friday, September 6, 2019. The exhibition will be open during the sessions’ hours. Lunch and coffee breaks will be held at the exhibition area. It is forbidden to take photographs, film or make recordings during the scientific program (sessions and posters). The Congress secretariat and Organizers cannot accept liability for personal accidents or loss or damage to private property of participants either during or directly arising from World Congress on Controversies in Breast Cancer (CoBrCa). Participants should make their own arrangements with respect to health and travel insurance. Generally, a citizen of a foreign country who wishes to enter the United States must first obtain a visa or ESTA. Participants are strongly advised to file their application in their home country as early as possible. If in doubt, information can be obtained from your nearest U.S. Embassy or Consulate, or from your travel agency. 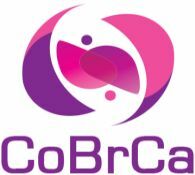 Follow CoBrCa on social media for the latest updates, key date reminders, and discussions with colleagues and experts from around the world.